On the 14th December 2018 we wrote about Hanson’s application to amend Clearing Permit CPS 4935/1 for the proposed Boomerang Road sand mine. Hanson’s wished to remove a deadline relating to Offsets (condition #11, Conservation Covenants) and the amendment was applied for retrospectively after the breach of the condition had already occurred. The Department of Environment and Water Regulation (DWER) received 27 submissions opposing the proposed amendments, mostly from local residents including some who are right next door to the proposed sand mine. Concern exists amongst the community as Hanson’s failure to comply with approvals is not an isolated case and the community has not been consulted during the approvals process. Despite the number of submissions, the DWER has only included a subset of concerns from the local community and has actively neglected the Endangered listing of the Banksia Woodland in not reassessing the proposed clearing against the 10 clearing principles. The community feels the decision was made before the opportunity for public comment, that was due Monday 17th December 2019. According to the Clearing Permit CPS 4935/2 Decision Report, it took the DWER 15 months from the condition deadline before their own Enforcement Branch contacted Hanson to advise that any clearing would not be in accordance with the clearing permit and would be in breach of Section 51C of the EP Act. After this period of time there was no penalty, no punishment, instead the DWER offered Hanson the opportunity to make an application to amend the clearing permit, retrospectively. The principle nature of this change and precedent being set by the DWER should be ringing alarm bells. Non-conformance to deadlines and breach of conditions is a concerning factor when these very conditions influenced the approvals at the time they were granted. This process has cost people a lot of time, money and headache, what value does the permit hold? The next and last meaningless deadline is condition #5 (type of clearing authorised) which prevents Hanson from clearing native vegetation after 6th December 2024. The precedent has been set that Hanson can simply apply to have this date amended (extended or removed) and the DWER will ignore the environmental significance of the endangered Banksia Woodland at the time of the reassessment and not consider the cumulative impacts of adjacent clearing permits; also owned by Hanson who intend to mine both sites as one operation. 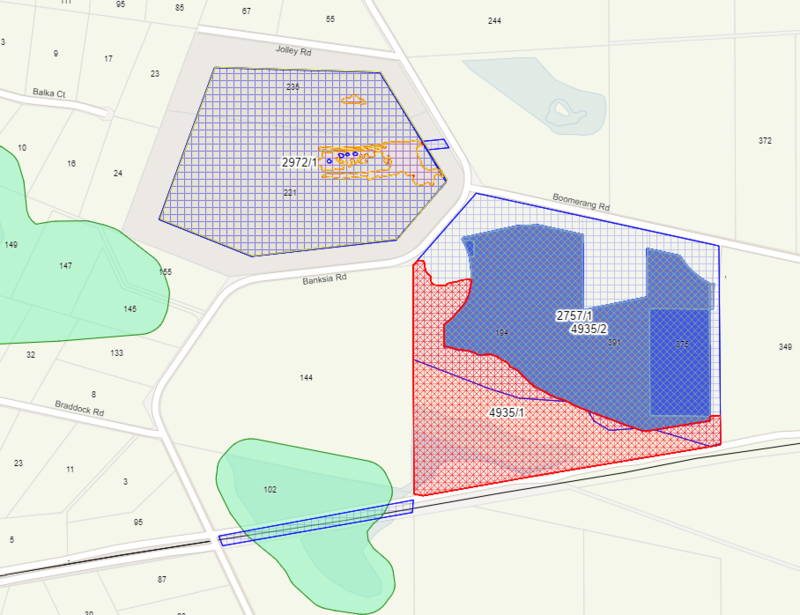 Clearing Permits for two proposed Hanson sand mines, Banksia Road. We have until the 19th of February 2019 to submit appeals to the Office of the Appeals Convenor. An appeal must be in writing and set out the grounds of the appeal. For information on the appeals process, please visit www.appealsconvenor.wa.gov.au/clearing-permits and download the PDF form. Note: There is no fee payable in lodging a clearing permit appeal (ignore this section on the form).